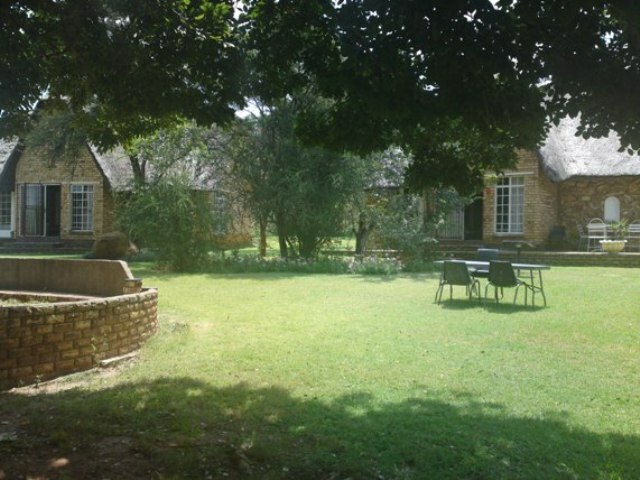 Kemonate Lodge does its name proud, where it is nestled amongst the hills just outside of Klerksdorp, on the road towards Ventersdorp. With its distinctive tranquillity, guests at the lodge may expect to find well-deserved rest in this serene part of the North West Province. People visit our resort for various reasons. Some get married here, others have business conferences, and there are those who just need a breakaway from today&apos;s hectic lifestyle. Whatever your reasons, be sure to drop in and experience some real North West Province hospitality. We have two types of chalets, namely Two-sleeper Chalets and Four-sleeper Chalets. 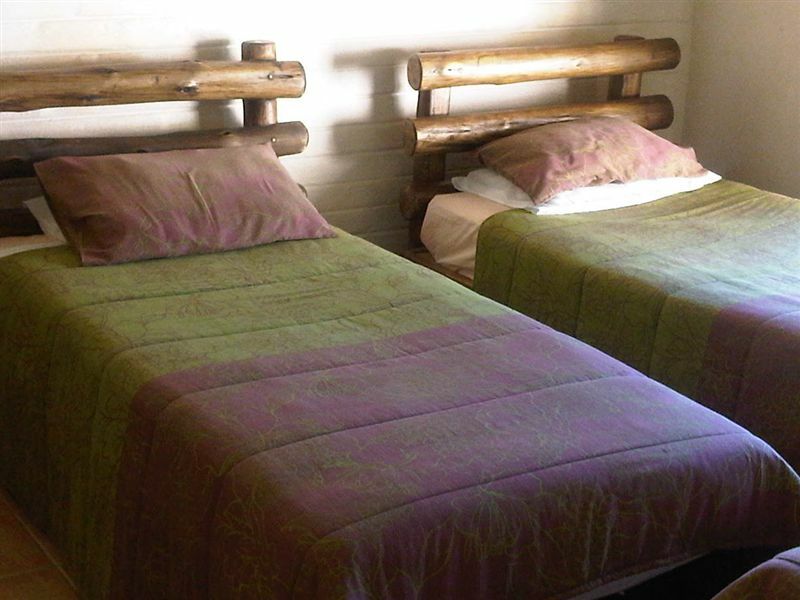 The Two-sleeper Chalets only have the basic self-catering facilities listed below. Guests will not be able to cook meals in these units. Breakfast is available with prior arrangement at a rate of R45 per person. The Two-sleeper Chalet comprises one double bed and one single bed for an extra child, if required. There is a TV with SABC channels, a fridge, kettle, glasses and cups. 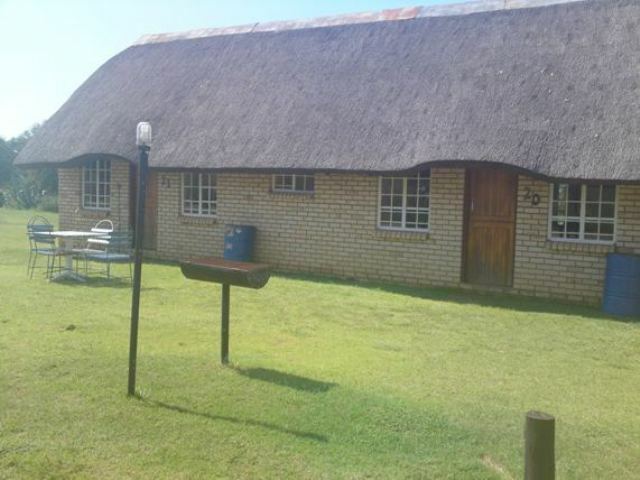 There is also a braai facility, and cutlery and crockery can be supplied by prior arrangement. The Standard Four-sleeper Chalets comprise two bedrooms with two single beds in each room, two bathrooms with baths, a lounge with a TV, a kitchen without a sink, a two-plate stove, a frying pan, cutlery, crockery, a kettle and a fridge. 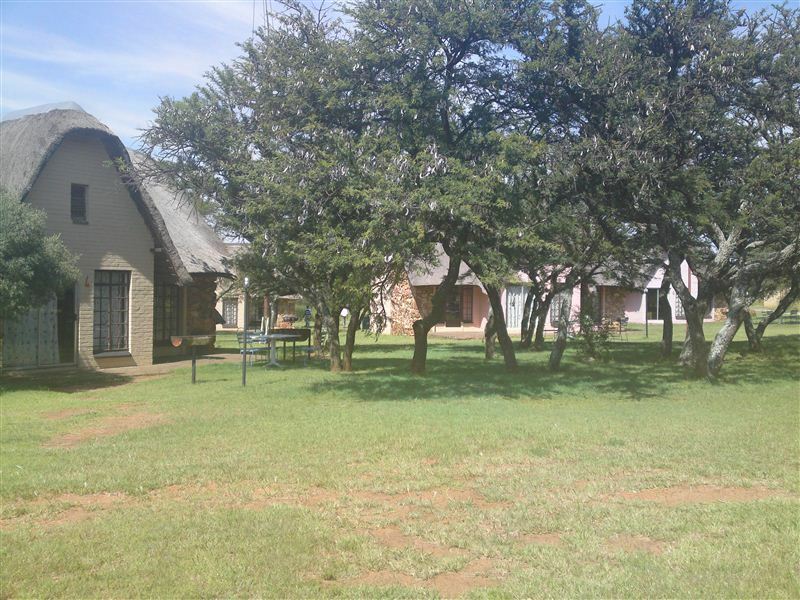 The Deluxe Four-sleeper Chalets each comprise two bedrooms, an equipped kitchen with basic self-catering utensils, a dining room table and chairs, and a TV with selected DStv channels. Each chalet has one bathroom with a shower, and one bathroom with a bath. The bedrooms each have two single beds. And the chalets overlook the swimming pool. 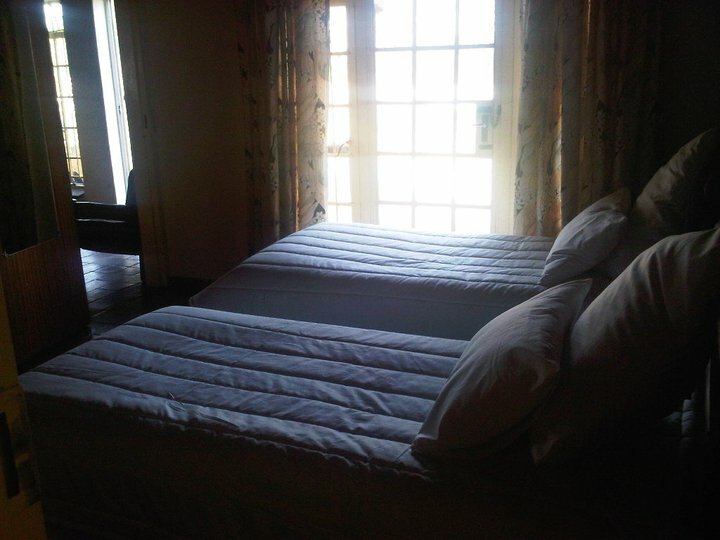 Linen and towels are provided in all units, and a cleaning service is provided. Upon arrival on Sat afternoon, we were surprised to find a place that was completely deserted and dilapidated. Broken chairs and tables on the front lawn. Signs that have been faded by the sun, building rubble all over the place. The chalets have more burglar bars around them then a jail cell. The reception was completely bolted up and through the window looked as if no-one has been there in 10 years. The first impression was "a deserted eerie unsafe" looking place. We immediatley left and went to book into a hotel. Extremely dissappointing as I paid my nights accommodation already. Request a quote from Kemonate Lodge at no obligation. Accommodation designed with wheelchairs in mind. Please contact the Kemonate Lodge to discuss any particular wheelchair requirements.